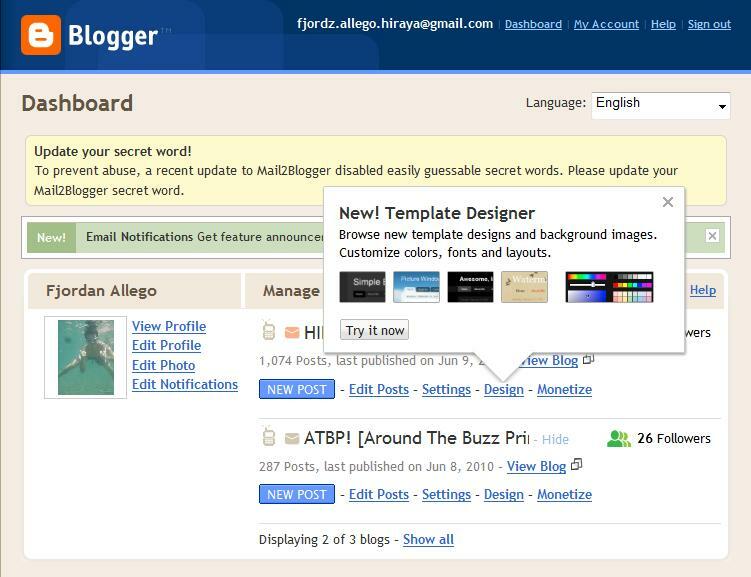 I don’t know if you have noticed it but it was just today that Blogger integrated the Template Designer to Blogger Dashboard from it’s first release on Blogger in Draft. 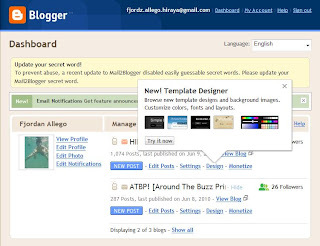 From now on, blogger themselves can easily navigate on their templates and design it the way they want it look! I wasn’t able to try it before when it was with Blogger in Draft. I guess, now that it’s fully integrated on our dashboards, I can play it one of these days. Anyways, for those of you who are just like me who want to know more about this Template Designer, basically it is a way of Blogger giving us the freedom to fully customized our own blog’s layout. While we’re all used to taking other layouts available online, this time, we are given the chance to practice our artistic minds and have our blogs look exactly how we want it to be.